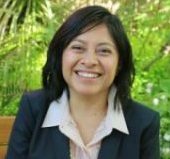 Ms. Salgado graduated from CCRH’s Rural West Internship Program for Diversity in Nonprofit Housing and Community Development in 2003 and has a bachelor in business administration from the University of San Diego. She oversees CCRH’s Rural West Internship Program. To date she has graduated over 100 students from the program, built partnerships with NeighborWorks America, Rural LISC, the Washington State Farmworker Housing Trust and the California State VISTA Americorps Program. She has successfully overseen program expansion to Washington State and Oregon as well as supported Arizona implement an internship program based on the CCRH model. In the past, she has also led CCRH’s VISTA AmeriCorps Program and seeks to reinstate it in the near future. Before joining CCRH in 2005, she worked as a project developer for three years with Community Housing Works in San Diego County. There she successfully packaged and developed three properties with 168 units total. She is fluent in Spanish and, coming from an immigrant and underserved community background, has a strong cultural and social affinity for ensuring better opportunities and quality of life for under-represented communities.